The DTL84 is a high-performance four-channel digital thermometer enabling the measurement of both input and output temperatures of systems and equipment simultaneously. When set to differential mode, the difference between the four thermocouple readings can be displayed which is useful for measuring the effectiveness of heating systems. The DTL84 has a wide measuring range from -200°C to over 1700°C. 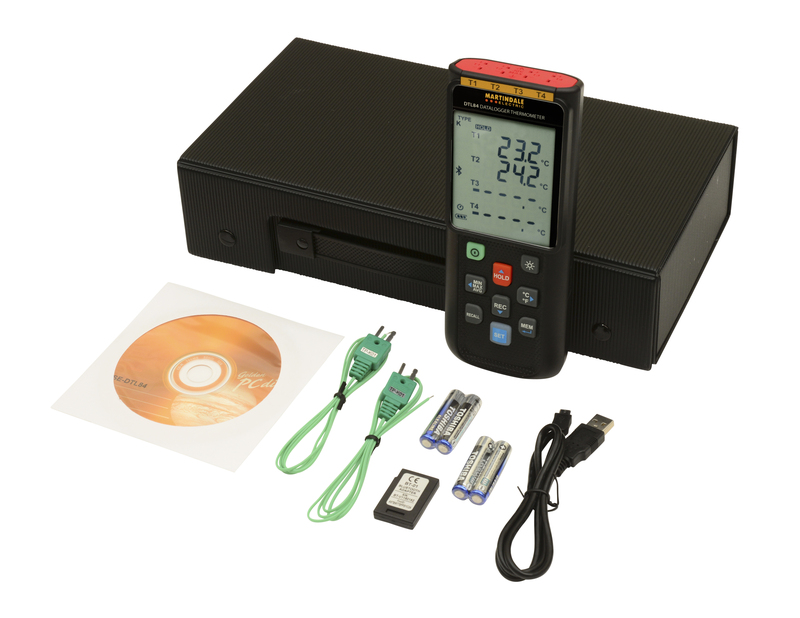 Readings can be displayed in either Centigrade or Fahrenheit and the thermometer has an adjustable offset which enables an individual thermocouple to be optimised for the best measurement accuracy at a chosen reference temperature. There is a MIN/MAX/AVG mode for recording extremes of readings. In this mode, the auto power off function is disabled to allow recording over long periods of time. 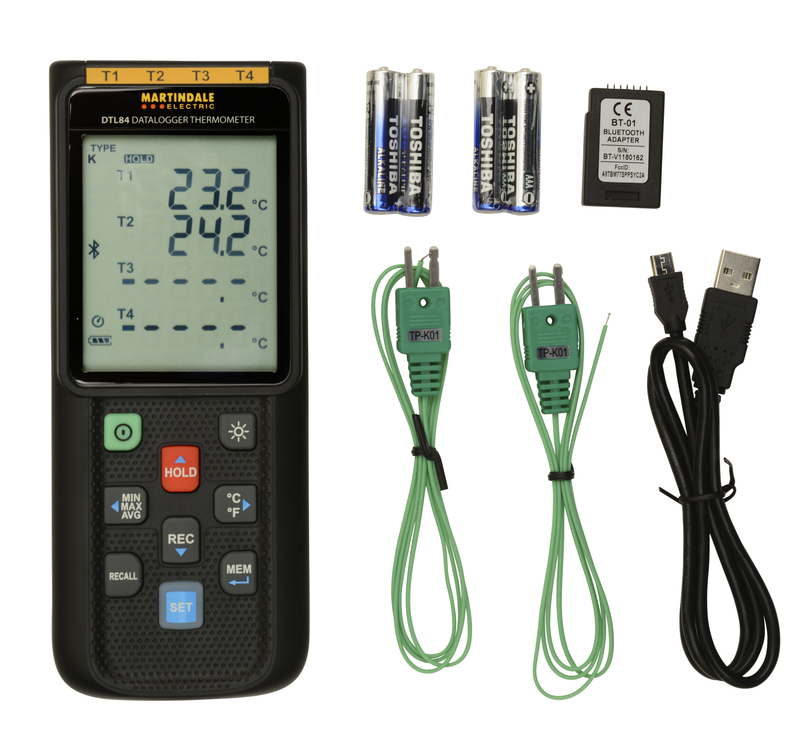 The data logger thermometer can be connected to a PC via the supplied micro USB cable or the Bluetooth adaptor in order to download the recorded data, perform real-time monitoring or data logging using the supplied software. A free iOS and Android app are available from the relevant app store for ultimate portability and analysis of data. 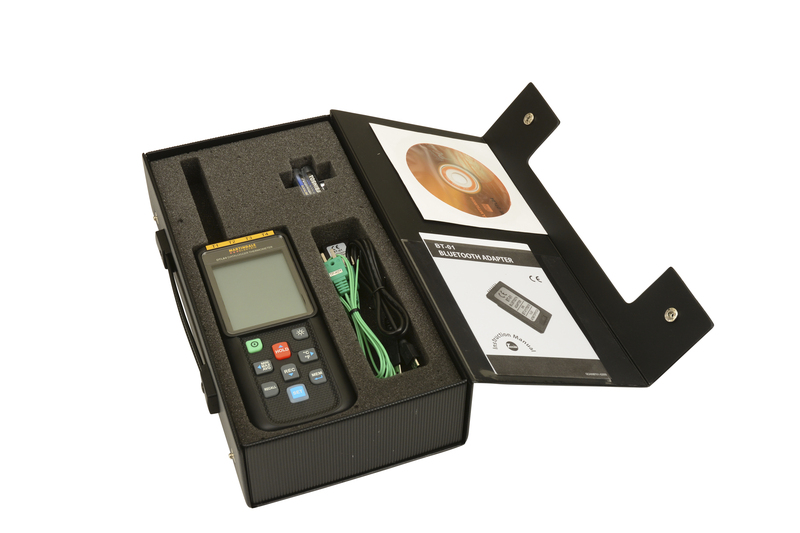 The DTL84 is supplied with two K-type thermocouples, a Bluetooth adaptor, software CD, micro USB cable and soft carry case. The DTL84 is compatible with our wider range of probe accessories which can be found here. The display has large digits and a backlight for easy viewing in all environments. There is a fold away built-in stand for optimum viewing angle.